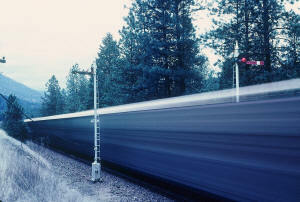 A westbound BNSF fright rolls past a pair of Montana Rail Link semaphores on October of 2005, within four months these 'blades' would be gone. All photos by Justin Franz. Railroading along the Clark Fork River in western Montana will be missing something from now on. Five former Northern Pacific semaphore style signals, along the 4th Subdivision of the Montana Rail Link, will be replaced with modern tri-color light signals. At the time of this writing the signals were scheduled to be replaced on January 10th. The five signals represent the last semaphores to be replaced by the MRL in a signal modification program that began during the early years of the railroad's operations in the late 1980s. 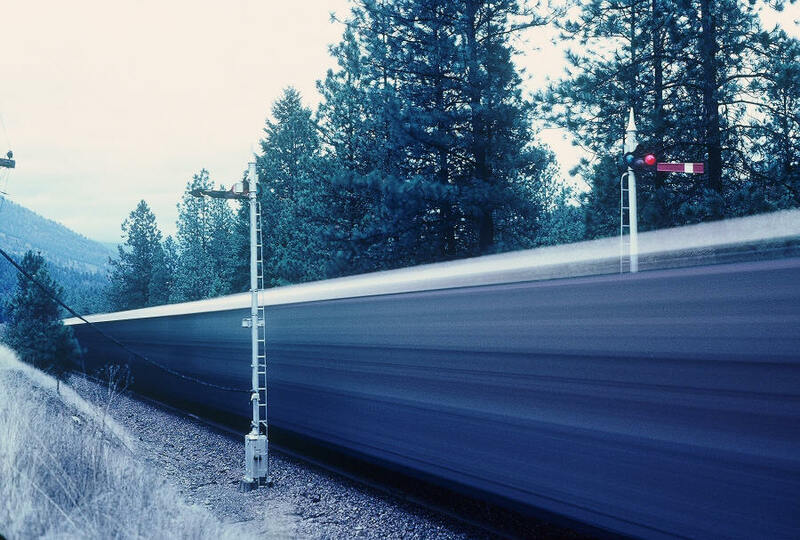 Originally installed around 1920 by the Northern Pacific, the semaphores also served the Burlington Northern, previous owner of the 4th Sub and the rest of the MRL system stretching from Jones Jct., Montana to Sandpoint, Idaho. The last Eire semaphore along the Southern Tier out of Binghamton, New York was replaced in early September by the line's owner, Norfolk Southern. Montana Rail Link is not the only railroad to have recently ended the semaphore era on their rails - Norfolk Southern took down the last Erie semaphore at Endicott, New York along the NS&apos;s Southern Tier Line out of Binghamton, New York. The Semaphore had been the last on the line for a few years as NS completed a re-signaling program that began in the early 1990's, when Conrail still owned the line. 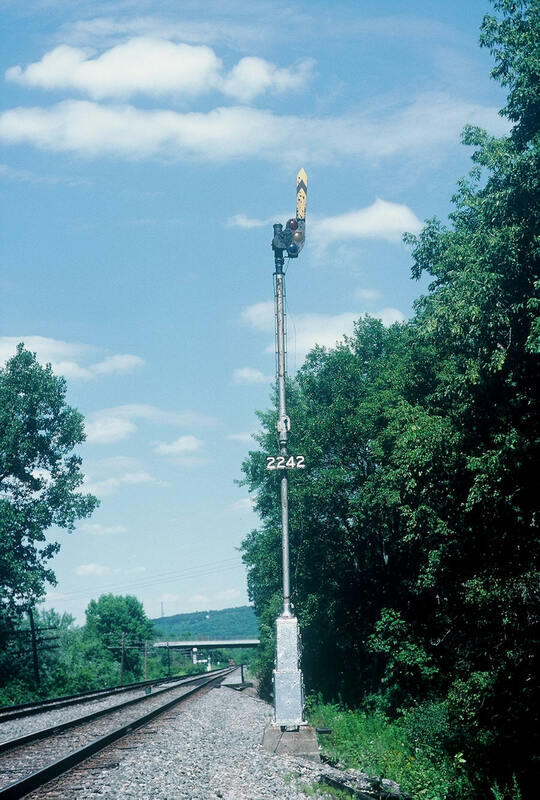 The Semaphore, located at 224.8 has since been preserved by Norfolk Southern. What fate holds for the five semaphores on the Montana Rail Link is unknown; however currently two are preserved in Missoula and stand by a former Northern Pacific 4-6-0 near the old NP station. 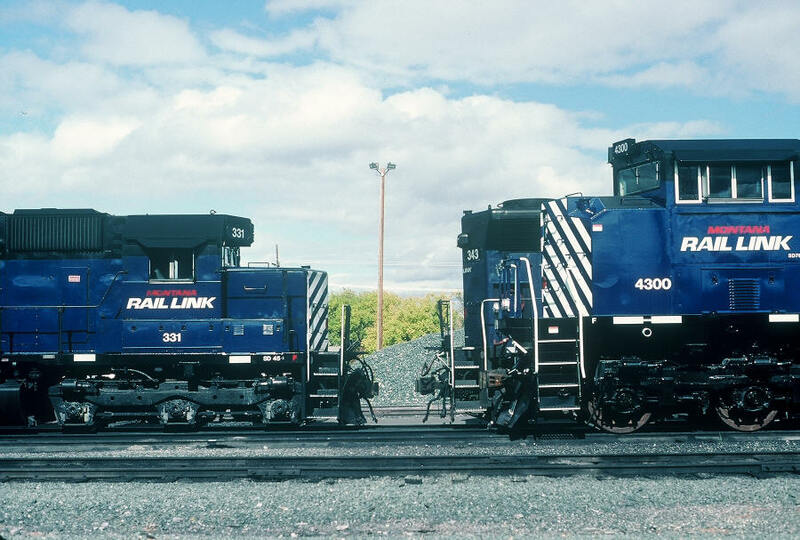 Old meets new in Helena, Montana as MRL SD45 331 is nose to nose with its replacement, SD70ACe 4300. Although the new units will become the regular power in MRL's helper district out of Helena and Livingston, the SD45's will continue to see service in secondary service on MRL road trains. And, semaphores are not the only thing being replaced on MRL, 16 brand new EMD SD70ACe&apos;s where purchased by the railroad in 2005 to be used on MRL&apos;s two helper districts - Mullen Pass and Bozeman Pass, a job traditionally held down by the lines roster of SD45/F45s. The 20 cylinder classics come from multiple lines that include the Erie Lackawanna, Norfolk & Western, and Burlington Northern. While the SD70ACe&apos;s take up the job of pushing tonnage over the Montana Rockies, the SD45s continue to be used on secondary trains, as well as part of the railroads lease fleet. 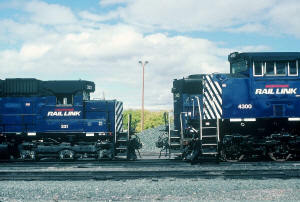 Some however have been stored serviceable at the lines shop in Livingston, MT and as of early January this included the railroads four F45s.